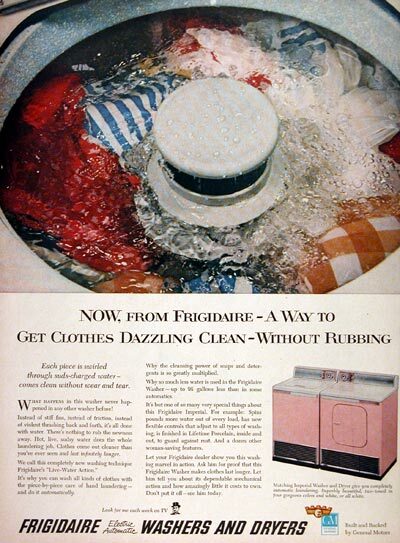 1956 Frigidaire Automatic Washer & Dryer original vintage advertisement. Featuring the Imperial Washer/Dryer in two tone color. Built and backed by General Motors.